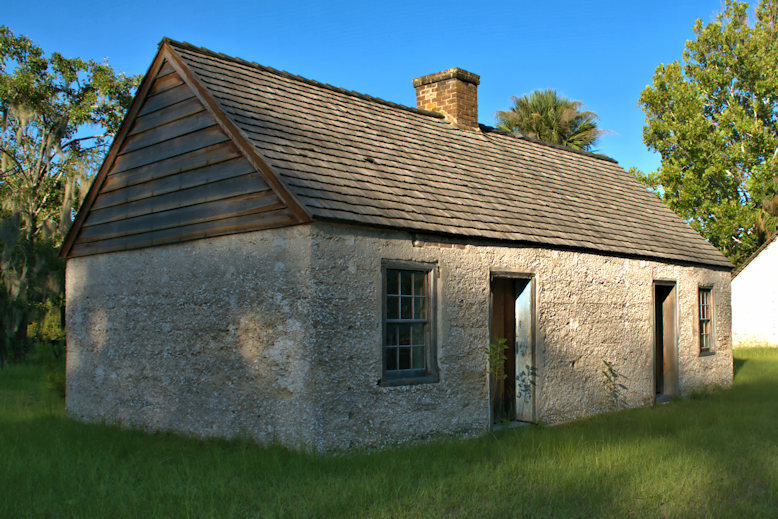 Built for servants working in the main house of James Hamilton’s Gascoigne Bluff plantation, this slave cabin is one of four surviving on St. Simons. 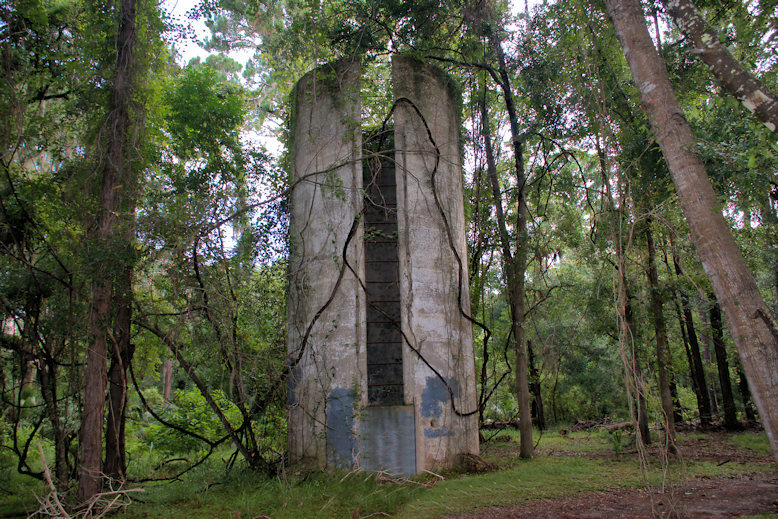 Two more survive on the lands of the former Hamilton Plantation. 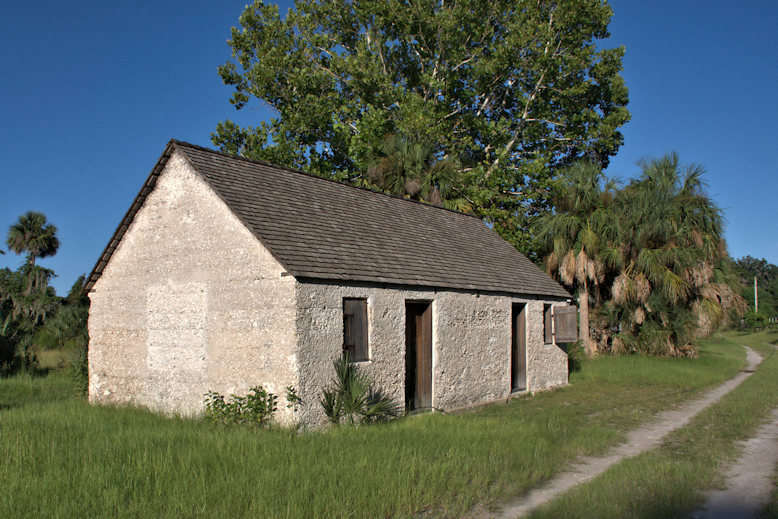 As evidenced by this authentic restoration, house slaves were generally kept in nicer dwellings than field hands and other laborers. 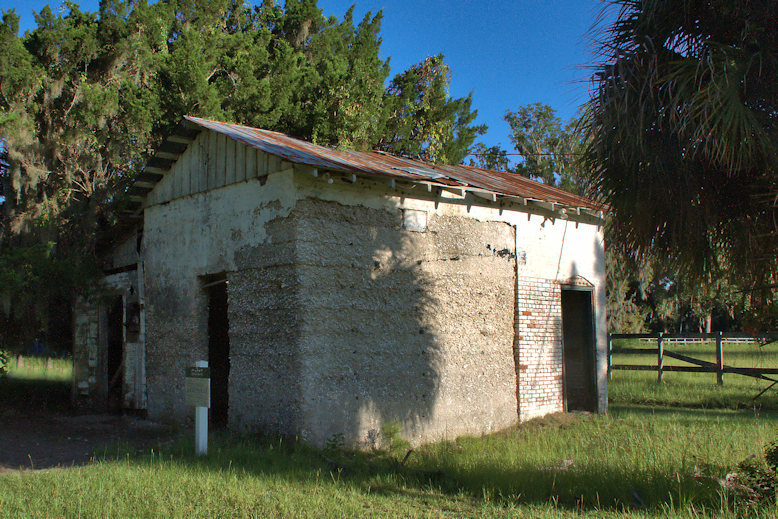 Popularly known as The Tabby House, it was restored by Eugene Lewis in 1931 and again in 1995 by master tabby craftsmen J. Felton Tate, Sr., Renaldo Tate, Sr., and Renaldo Tate, Jr.. After the plantation house burned in the 1890s, a lumber mill was located on the property for many years. 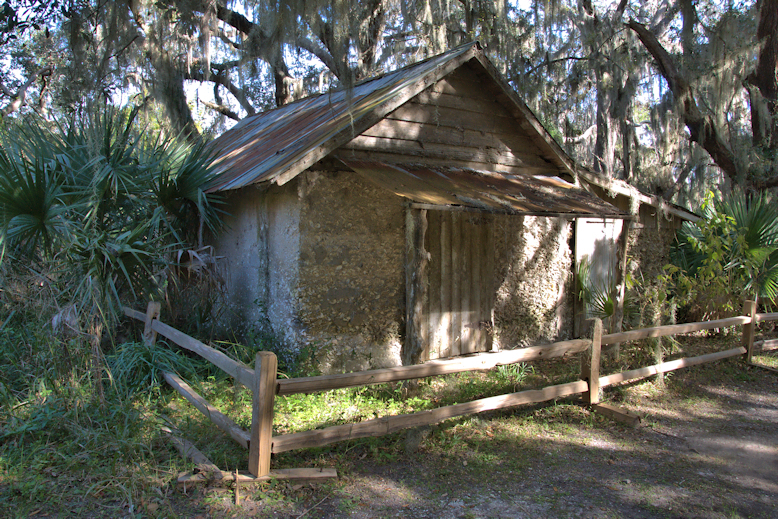 The cabin served as a doctor’s office during that era. 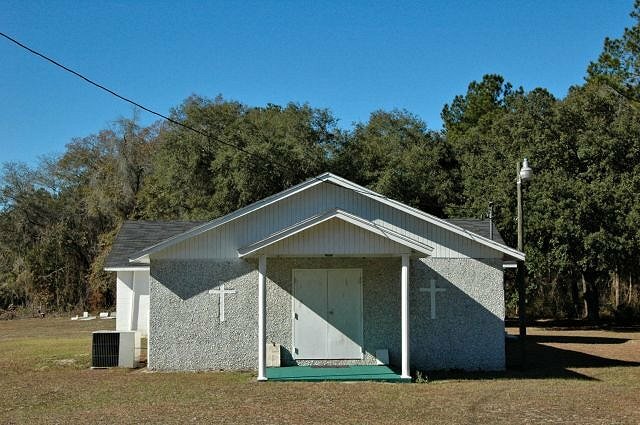 Today, it is part of the Epworth By The Sea campus of the South Georgia Conference of the United Methodist Church and is used as an event space. 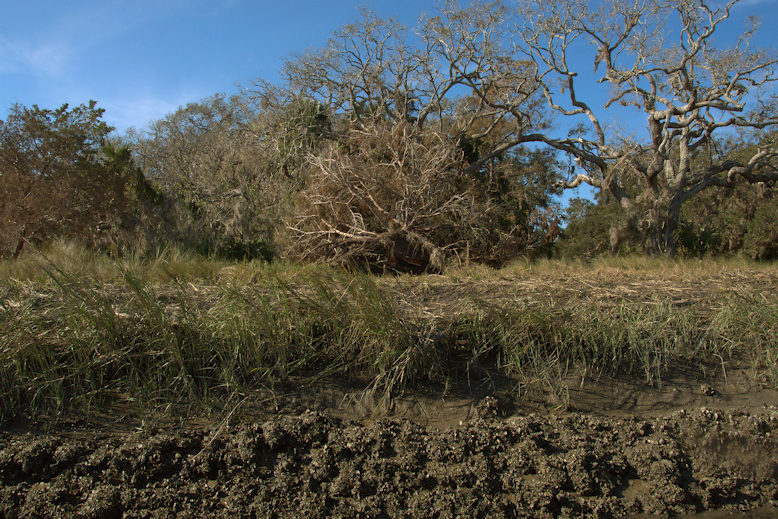 Acquisition of the Cannon’s Point property (608 acres) by the St. Simons Land Trust (SSLT) in 2013 has affected the preservation of the last contiguous wild maritime forest on the island. 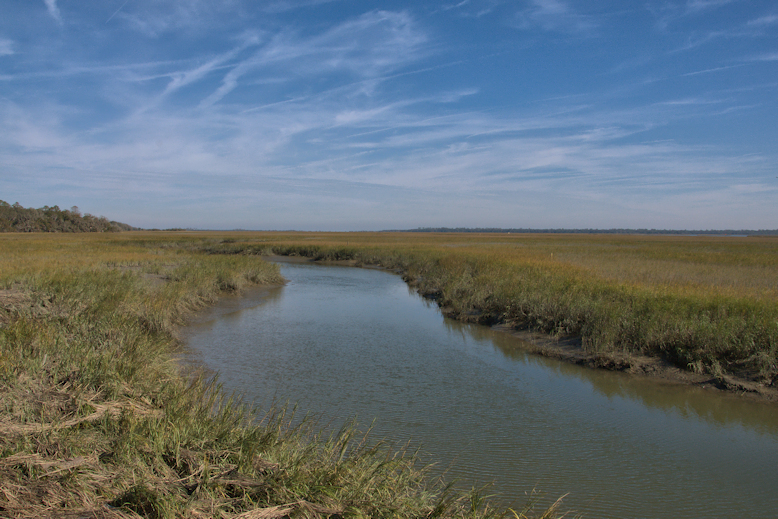 The peninsula, at the northeast end of the island, features over six miles of salt marsh, tidal creek, and river shoreline. 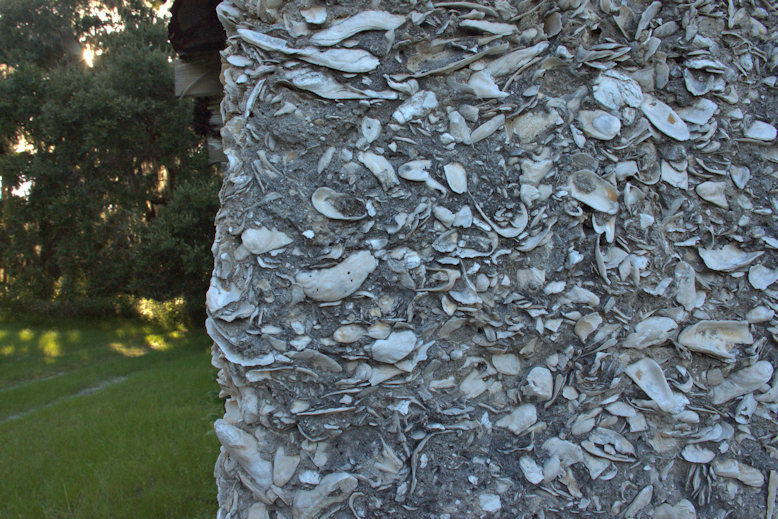 Ancient shell middens, essentially the trash piles of Native American settlers, are also present. At the dock just beyond the parking lot is this idyllic view of a small tributary of the Hampton River, located at the former site of Taylor’s Fish Camp. Free and open to the public Saturday-Monday 9AM-3PM, Cannon’s Point Preserve is staffed by volunteers who will give you a bit of history and information when you arrive. 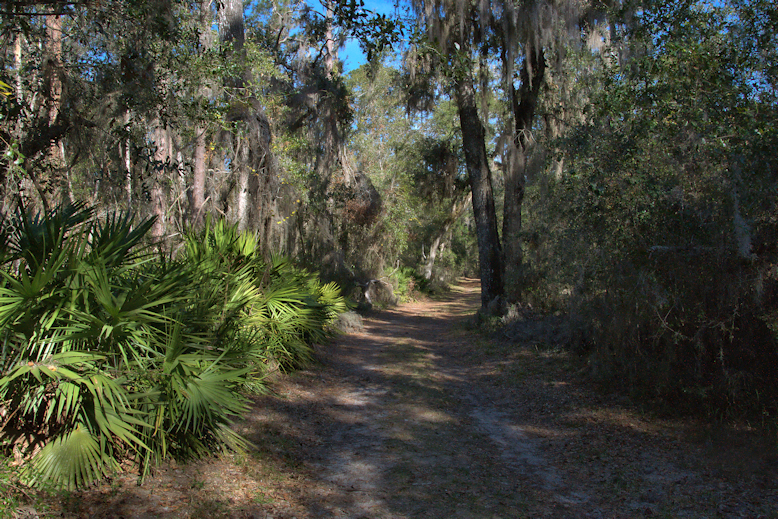 Be aware that the walk down Cannon’s Point Road, the main trail in the preserve, is 4.4 miles roundtrip. Bring water, bug spray, and good shoes. 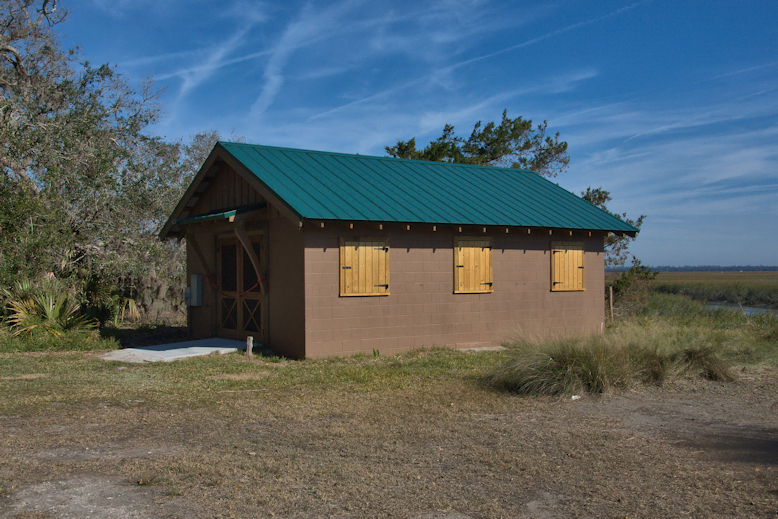 The old camp store remains and has recently been restored. The first structure you’ll likely notice as you begin the hike to the Couper house ruins is this tabby barn. Built circa 1925 by Charles, Archibald, Arthur, and Reginald Taylor as a storage shed, it’s a great example of tabby architecture. The Taylor brothers established a business in 1919, farming, raising livestock, and operating as fishing guides. 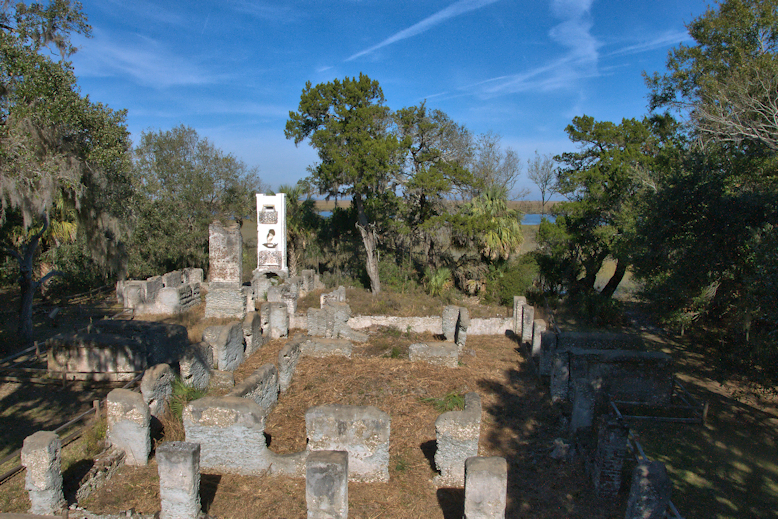 This part of the Cannon’s Point Preserve was known as the Lawrence Plantation and the brothers purchased it from Anna Gould Dodge, widow of Christ Church rector Anson Gates Dodge, in 1921. The Taylors were the largest producers of beef and pork in the area until the 1960s. 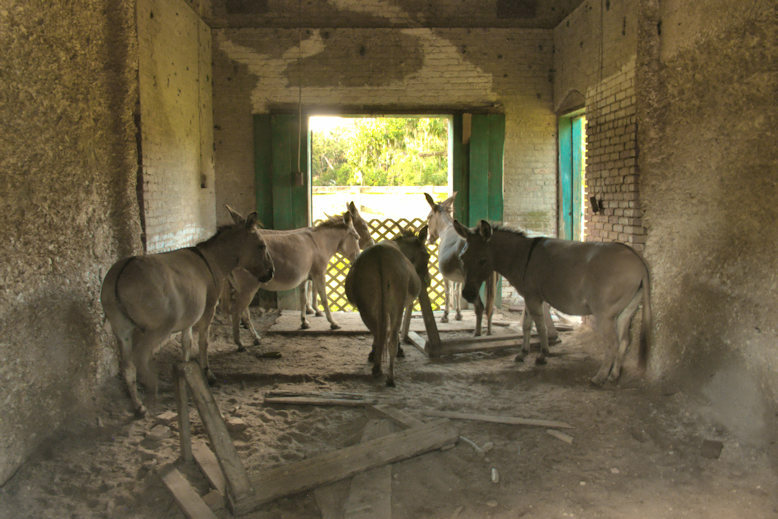 In the early 1970s, the barn was used as a set location in the movie Conrack. 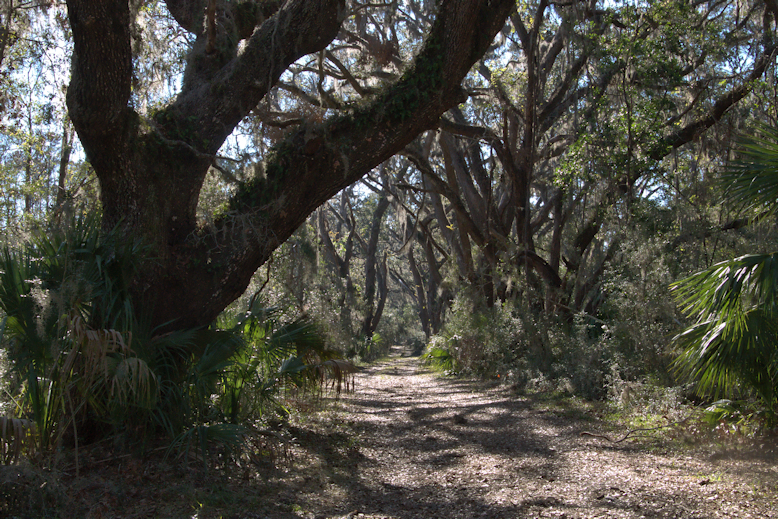 The road to the north end is characterized by palmetto and live oak, dominant species of the Atlantic maritime forest. 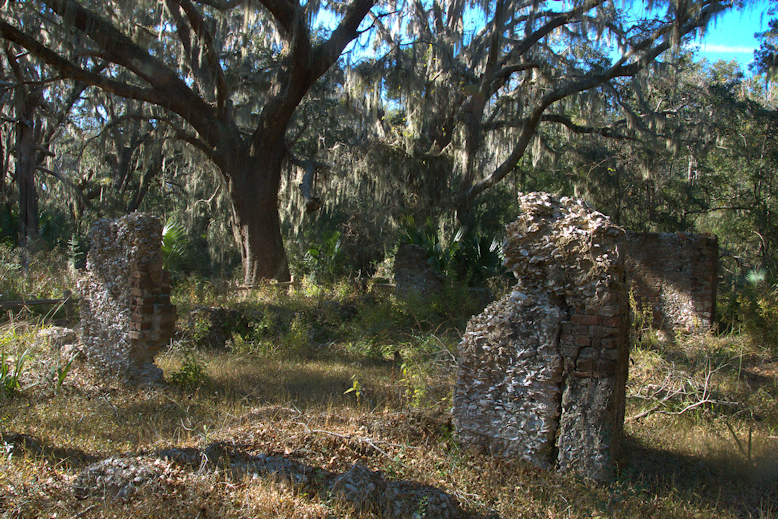 There are numerous “ancient oaks” throughout the preserve, some well over two hundred years old. 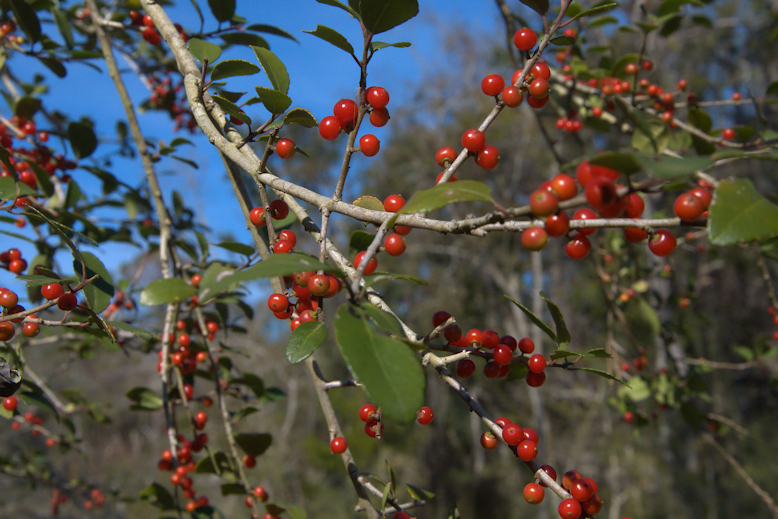 Holly (Ilex) is also found throughout. 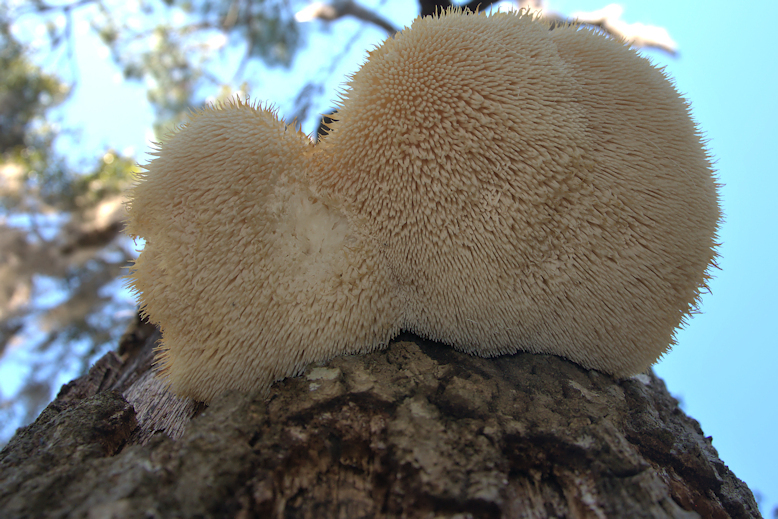 Cannon’s Point is known to be a haven for the curious Lion’s Mane mushroom (Hericium erinaceus), a widely cultivated edible and medicinal variety. 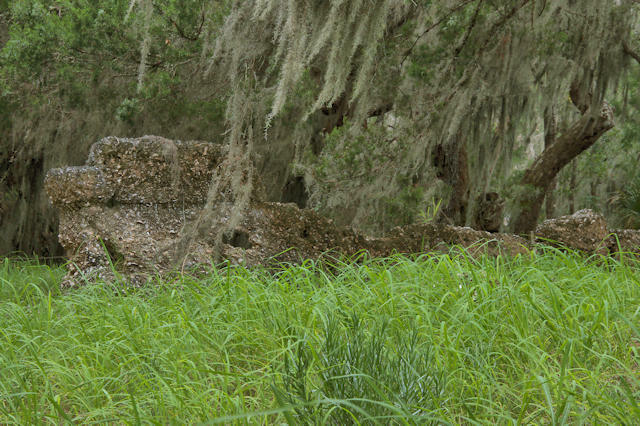 The first site along the trail is the ruins of a slave cabin. 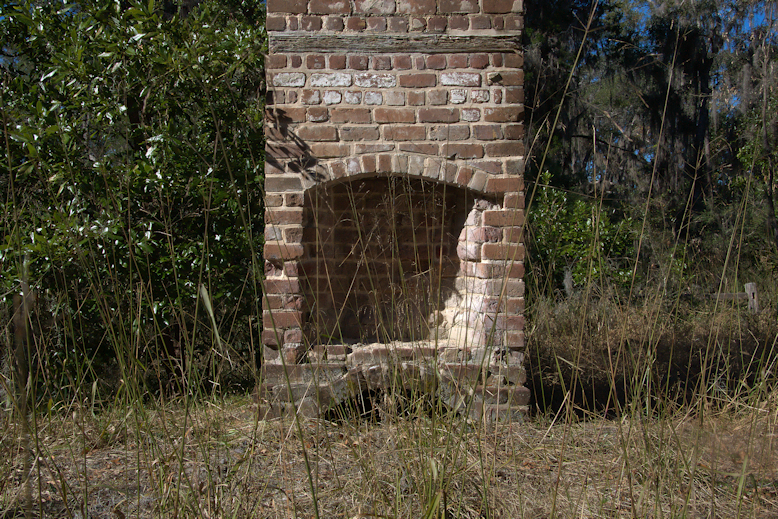 All that remains is this hearth. 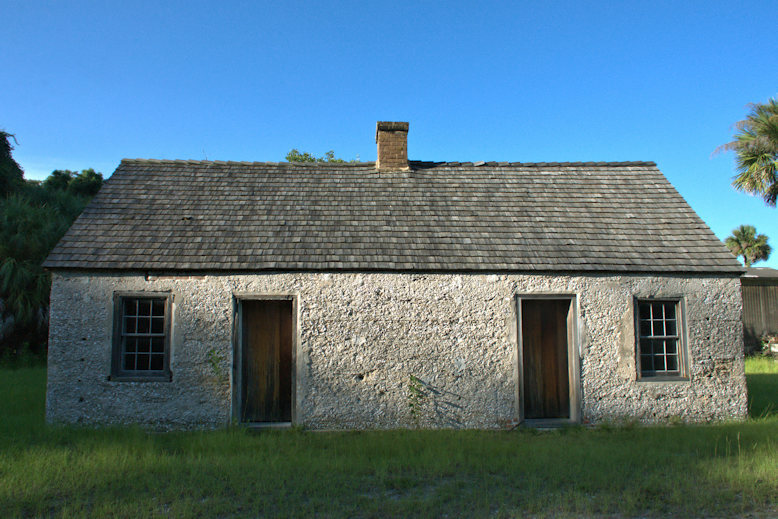 From the establishment of the plantation in the 1790s until 1861, the cotton plantation at Cannon’s Point was wholly dependant on the labor of enslaved Africans. 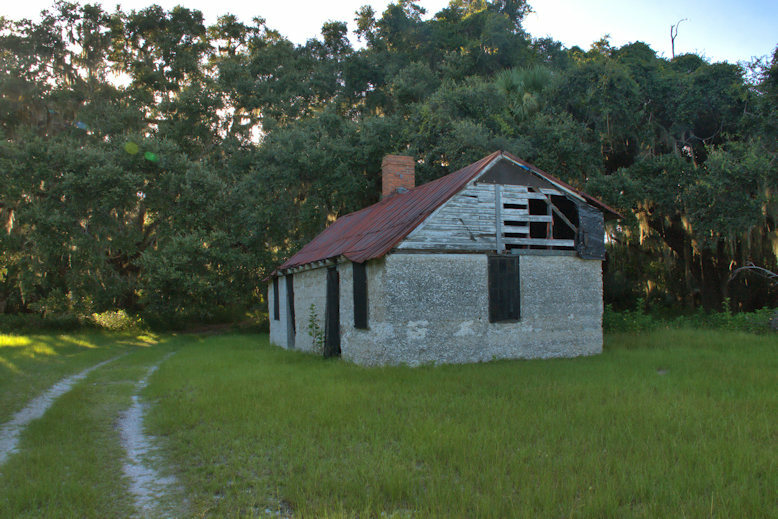 Archaeological excavations undertaken here in the 19790s suggest that the slave cabins were built as 40×20 duplexes, with each family living in a 20×20 section. 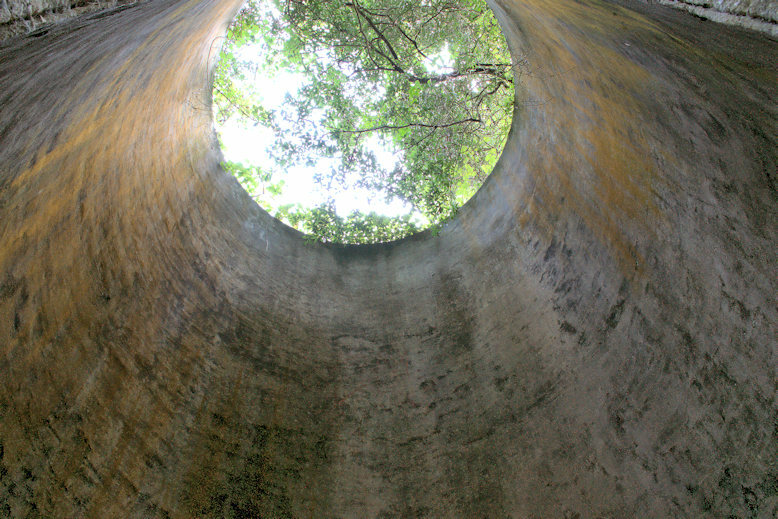 At this particular location, four cabins housing eight families surrounded a central well. 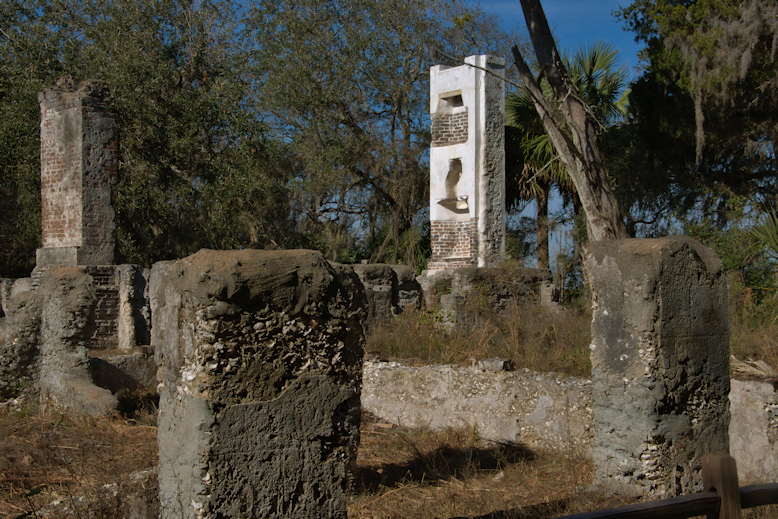 The site of the overseer’s house is beyond the slave cabin ruins. Research has indicated that overseers were very transient at Cannon’s Point, staying on average just a year and a half. They were paid between $200-$400 per year. The ruins confirm that it was unusually large when compared to other such structures on the coast. 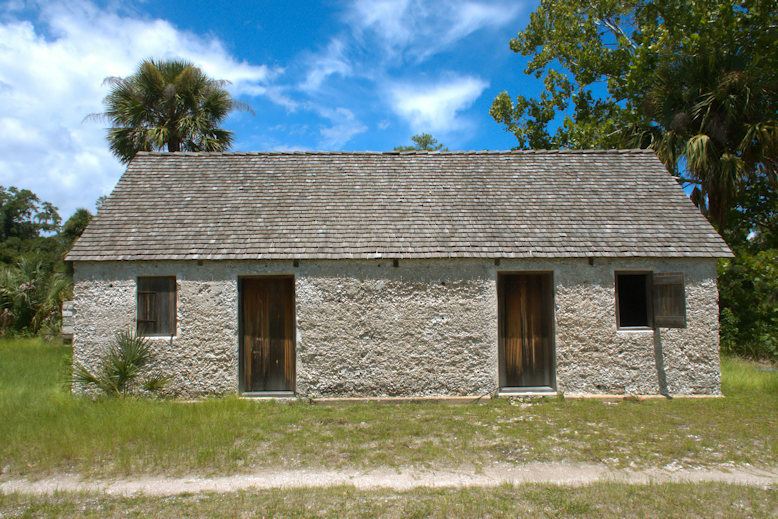 Most were two-room affairs, similar to slave cabins. 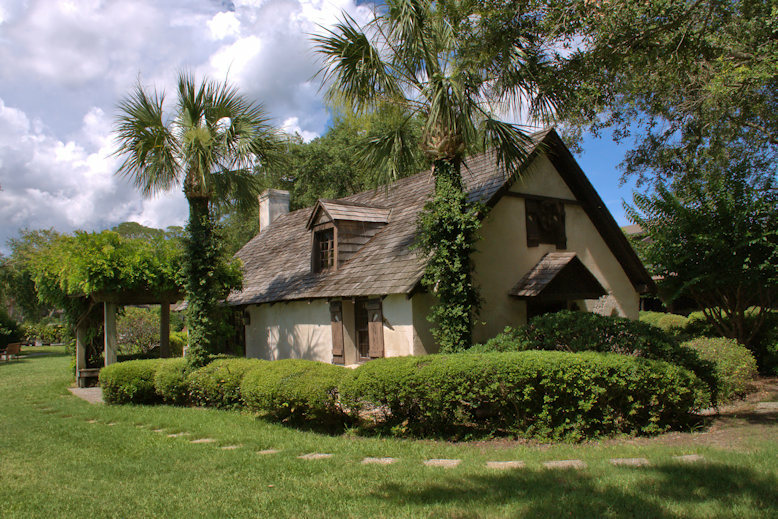 The Cannon’s Point example was comparable to the owner’s house on small plantations. It’s thought to have been built in the 1820s. 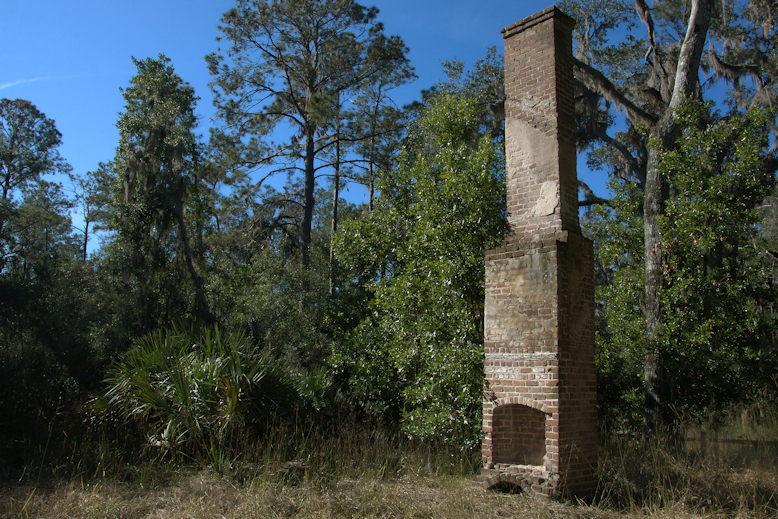 Upon their acquisition of the property, the SSLT determined that the chimney was in danger of collapsing. They stabilized it using loose bricks found at the site. The hearth remains, as well. At the end of the long walk over the peninsula are the extensive ruins of John Couper’s Cannon’s Point House (built circa 1804). The human history of the area dates back at least 4500 years, when the first native people are thought to have been present. In the 1660s Spanish missionaries established Santo Domingo de Asajo to minister to the Guale Indians. Pirates drove missionaries and the Guale from the island by 1684, but the Guale returned over time. 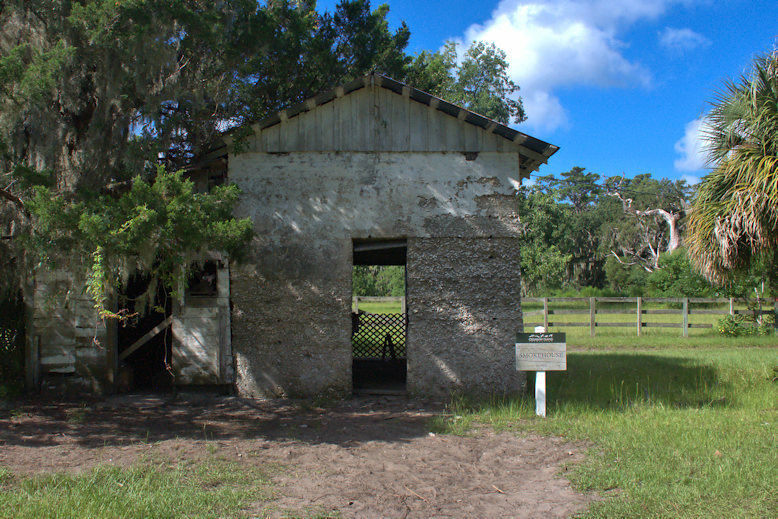 Daniel Cannon, a carpenter at Fort Frederica, was the first English owner, having been granted property here by the Trustees of the Georgia Colony in 1738. He didn’t stay long, though, and was in South Carolina by 1741. 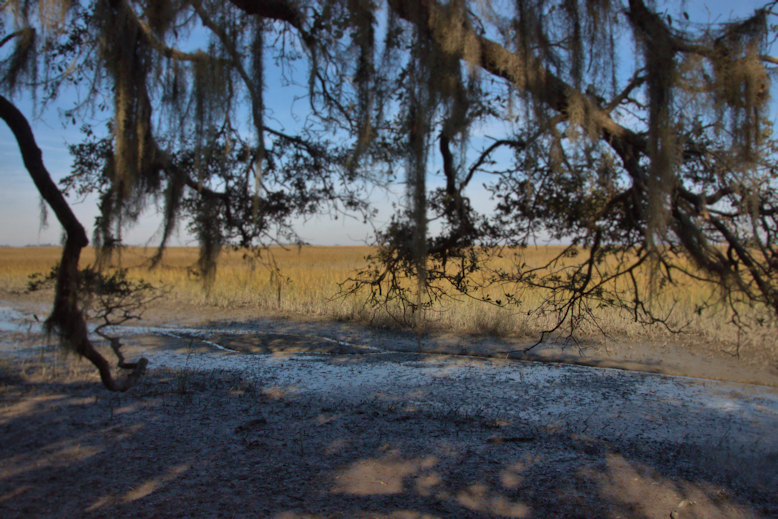 John Couper, who came from Scotland to America prior to the Revolution, acquired Cannon’s Point in 1793 and with James Hamilton made Sea Island cotton the dominant crop of St. Simons Island. Couper served as a representative to the Georgia constitutional convention of 1798 and in 1804 gave the land known as Couper’s Point for construction of a lighthouse on St. Simons Island. John Couper built this house by 1804 and lived here with his wife Rebecca and their five children throughout the antebellum era. Vice President Aaron Burr was among the first visitors. The labor of over 100 slaves kept the plantation running. 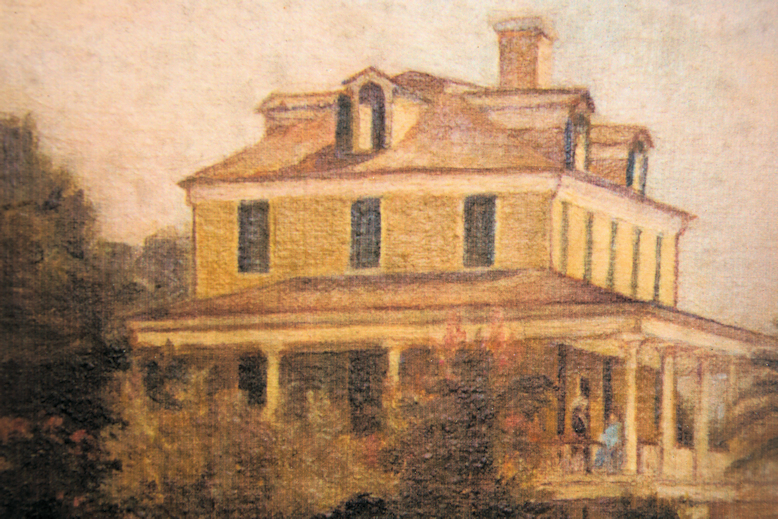 (This image is from a painting by Couper’s grandson, John Lord Couper, circa 1850). Rebecca died in 1845 and John in 1850, at the age of 91. They’re buried in the cemetery at Christ Church, Frederica. Couper’s oldest son, James Hamilton Couper, managed Cannon’s Point until 1861 and it passed out of family hands in 1866. Several owners attemptd to maintain it over the next few decades with little success. 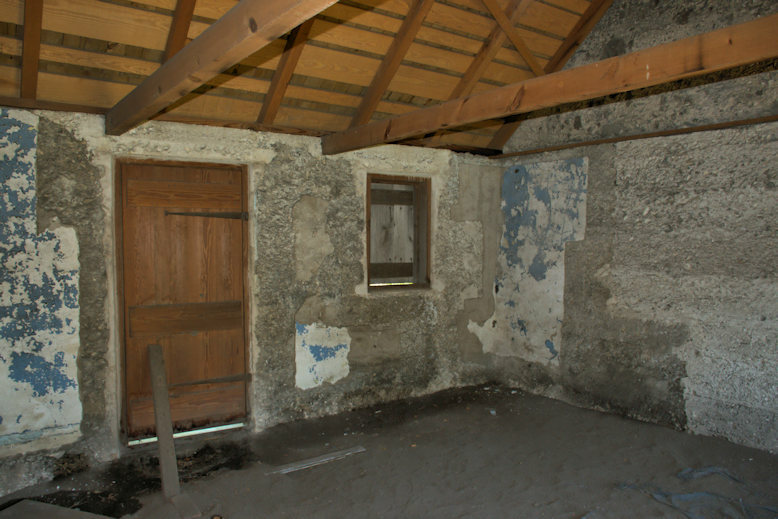 The house burned in 1890. 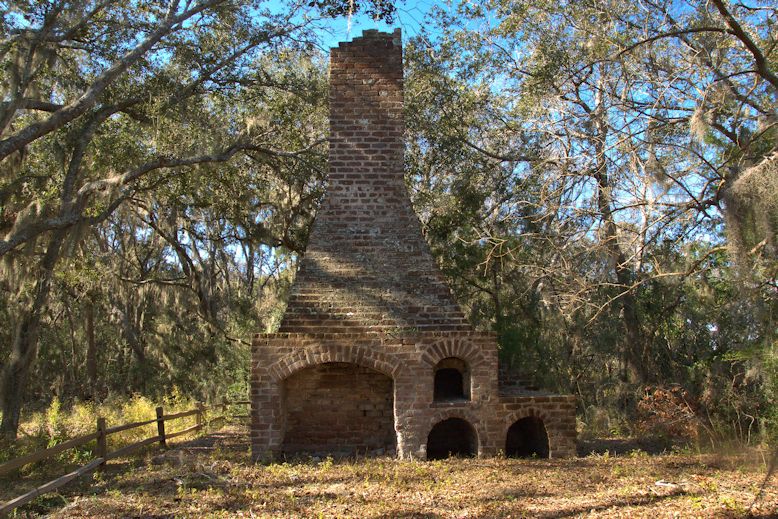 A chimney with ovens and its tabby foundation are all that remain of the detached kitchen, which was built in the late 1790s. The slave cook Sans Foix produced wonderful meals for the Coupers and their guests, drawing acclaim from far and wide. Beyond the kitchen are these ruins, which are presently unidentified. 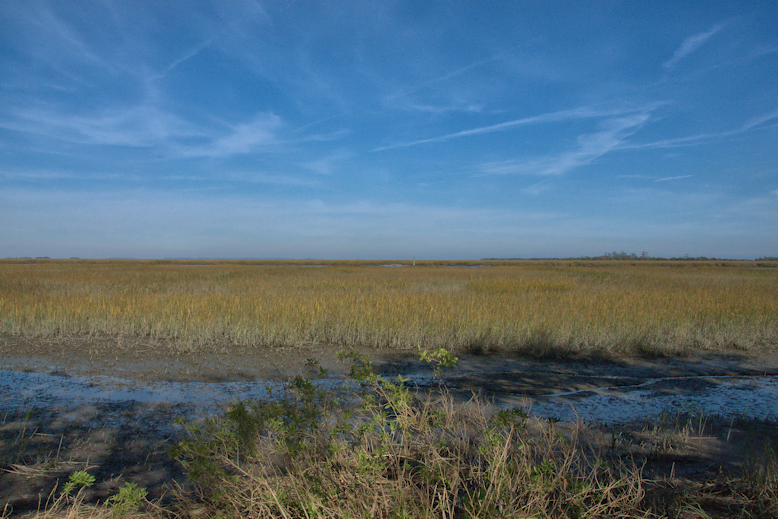 Beautiful views of the Hampton River and Little St. Simons Island abound at Cannon’s Point. This was identified as Georgia’s first brewery when the property was nominated for the National Register of Historic Places in 1971, but like many of Georgia’s tabby ruins, it has an ambiguous history. 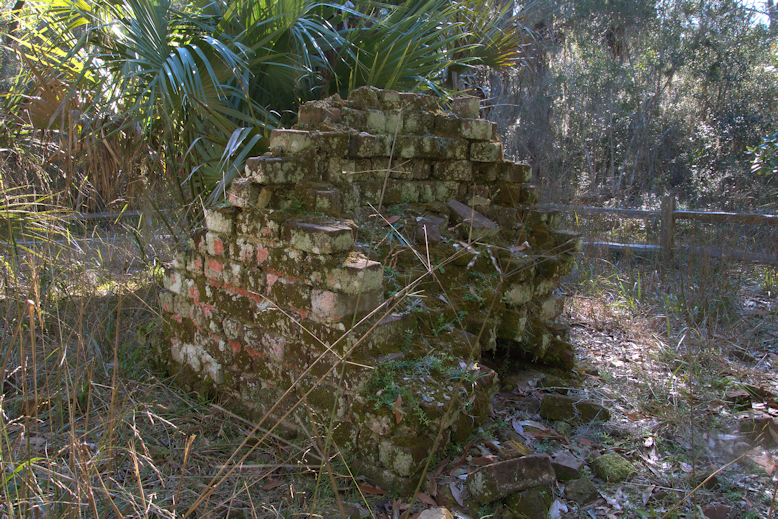 Signage at the Horton House Historic Site identifies it as the ruins of a warehouse. 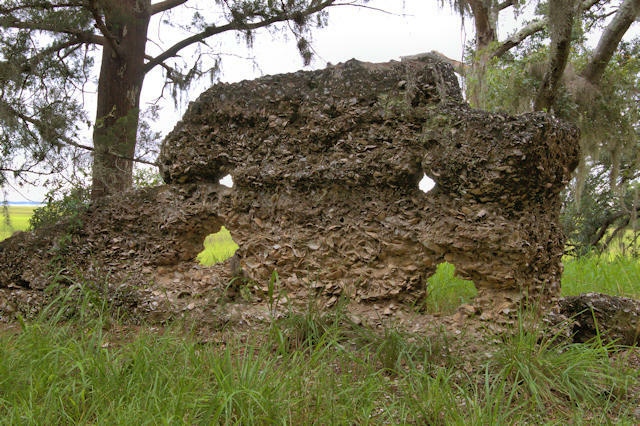 If it is the brewery ruins, it’s one of Georgia’s first industrial sites. 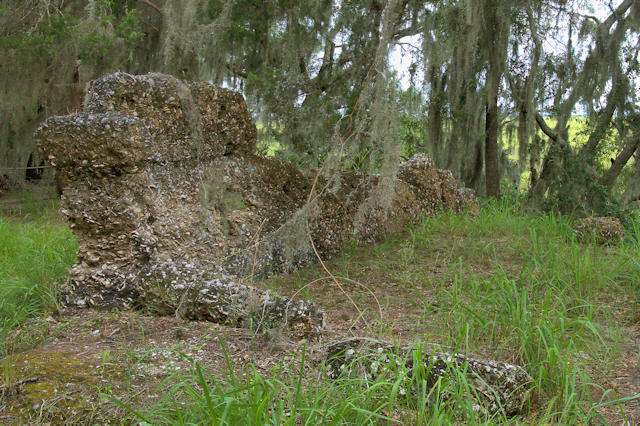 Major Horton’s Brewery fueled the troops at nearby Fort Frederica throughout the late 1730s. 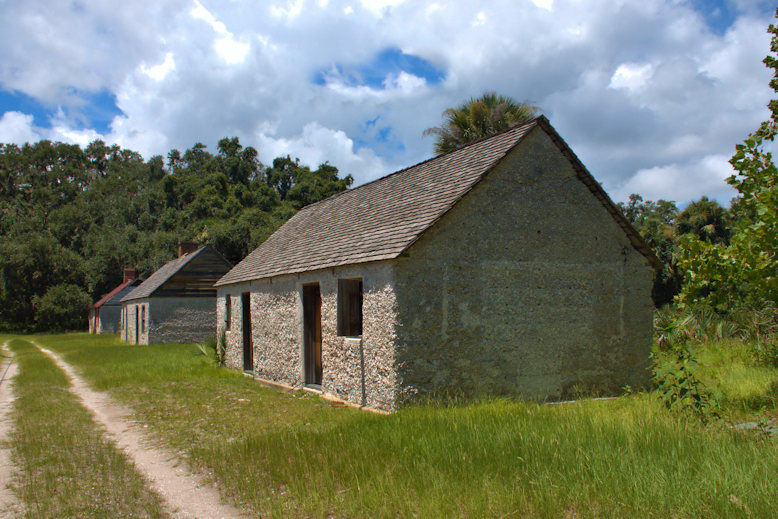 Specific dates for the brewery and/or warehouse are as difficult to pin down as they are for the house, but considering the connection to Fort Frederica and its likely need for alcohol from the outset, it was likely operational before 1740. 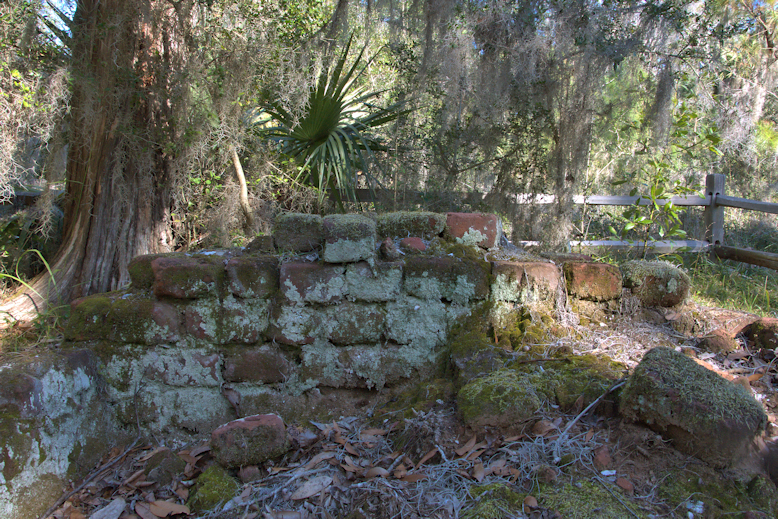 Taylor Davis, who wrote his masters thesis on tabby in Georgia, also identifies the ruins as the brewery ruins.